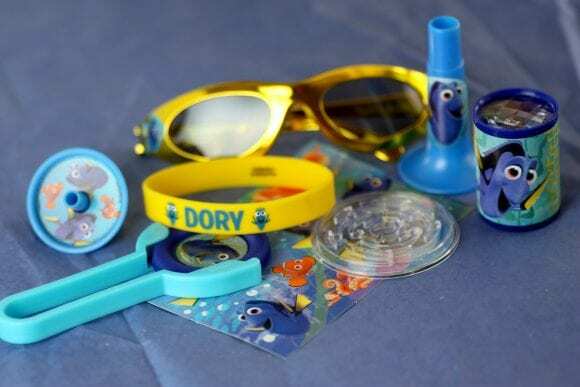 Disney•Pixar’s Finding Dory opens June 17th, and I can't wait to start seeing Finding Dory parties added to our site. 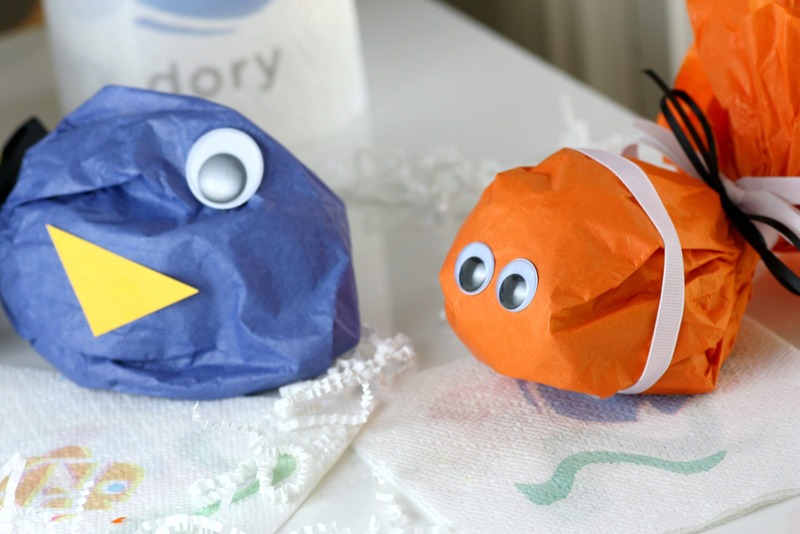 So to inspire you, I created these easy Finding Dory & Finding Nemo party favors made out of tissue paper. 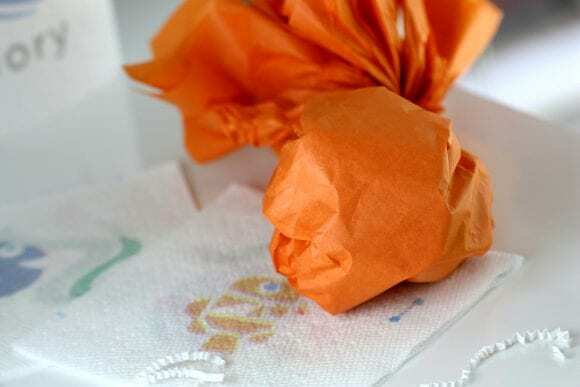 And whenever I'm crafting, I always keep Bounty paper towels handy. Bounty is 2X more absorbent -- so nothing cleans up messes (like glue, glitter, or paint) better than Bounty. 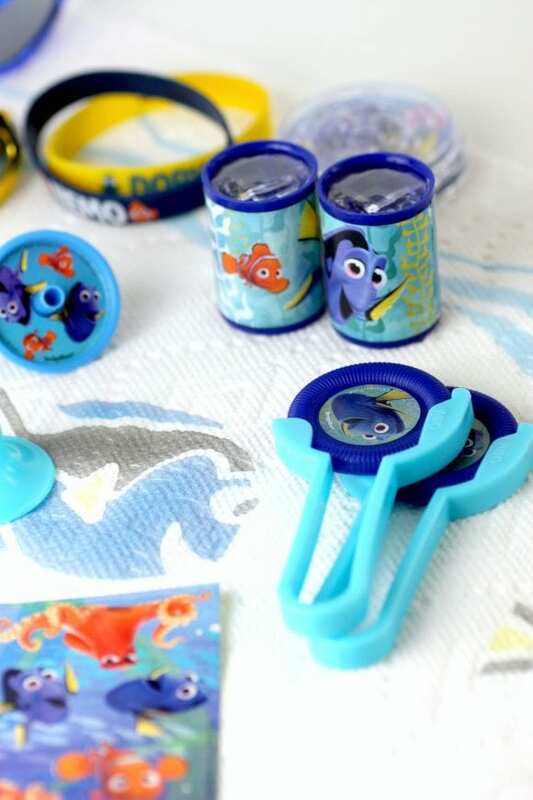 And how cute are these Bounty prints featuring Disney•Pixar’s Finding Dory paper towels, in stores now. 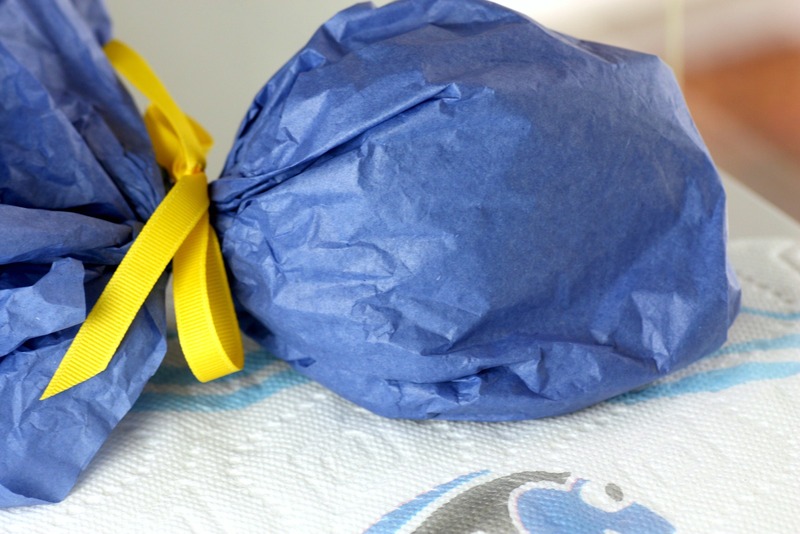 Next, I spread out two sheets of blue tissue paper to give my Dory some strength. I placed the toys in the middle of the sheets and wrapped up the toys. I molded the tissue paper into a fish body (I added some white shredded paper to help create the shape). I tied a yellow bow on the tail to close it. I glued on two big googly eyes (the bigger the better) and two triangles I cut from yellow scrapbooking paper. To finish it off, I tied a black ribbon on the tail to represent all of Dory's colors. 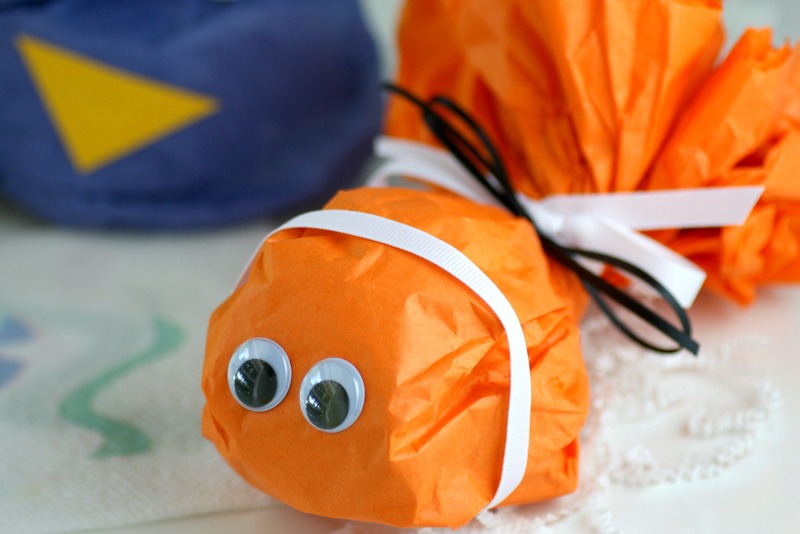 And then, using the same technique, I created a Finding Nemo tissue paper party favor. Here I'm molding the fish body. Then I tied both a white and black ribbon on the tail, glued on smaller googly eyes, and stapled a white ribbon around the body. I love how they came out! 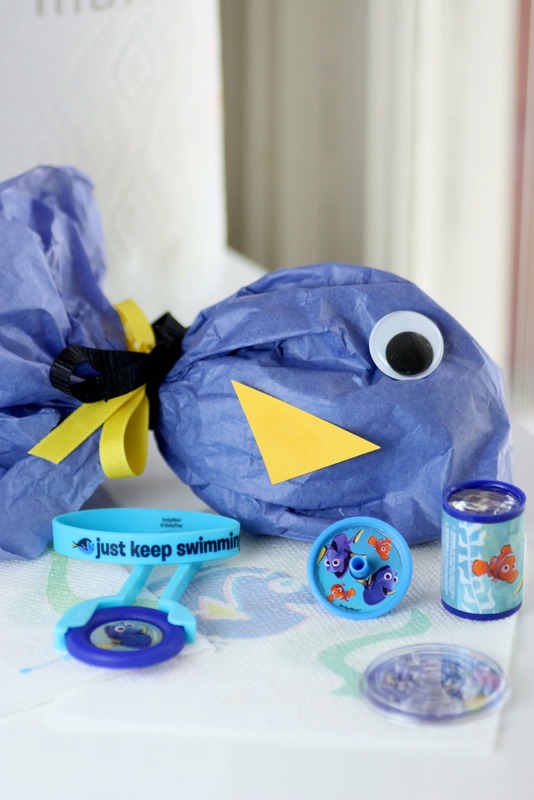 These are perfect to give to your guests at your Finding Dory parties! And did you notice the Bounty prints featuring Disney•Pixar’s Finding Dory paper napkins in the shots? My daughter absolutely loves them! If you throw a Finding Dory party, please add it to our site. I'd love to see what creative things you do! This post is sponsored by Bounty, but all opinions and ideas are 100% mine!